Check back here regularly to find out what's going on at IBS REICO as well as other important information regarding the IBS North American family of companies. For more corporate releases please visit Institutional Banking Services North America CORP site. IBS Investment Bank a division of Institutional Banking Services, N.A. CORP Provides CRE Acquisition Financing to J. L. Tools and Supplies Inc.
IBS, N.A. 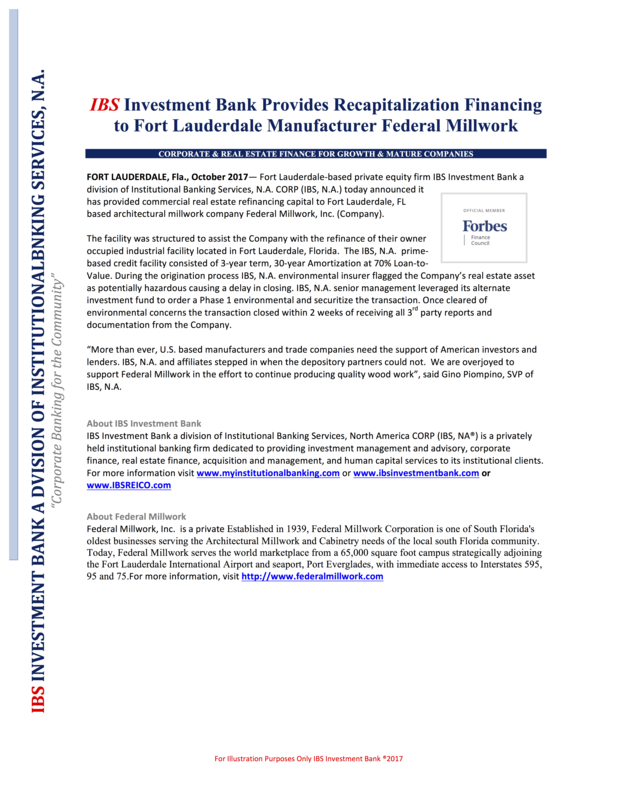 Exits 3 Key Investments and Positions to Re- Investment Additional $400MM Throughout Eastern U.S.
IBS Investment Bank a division of Institutional Banking Services N.A. CORP Sets Aside $85MM for Florida CRE Realtors and By-Owner Sellers. 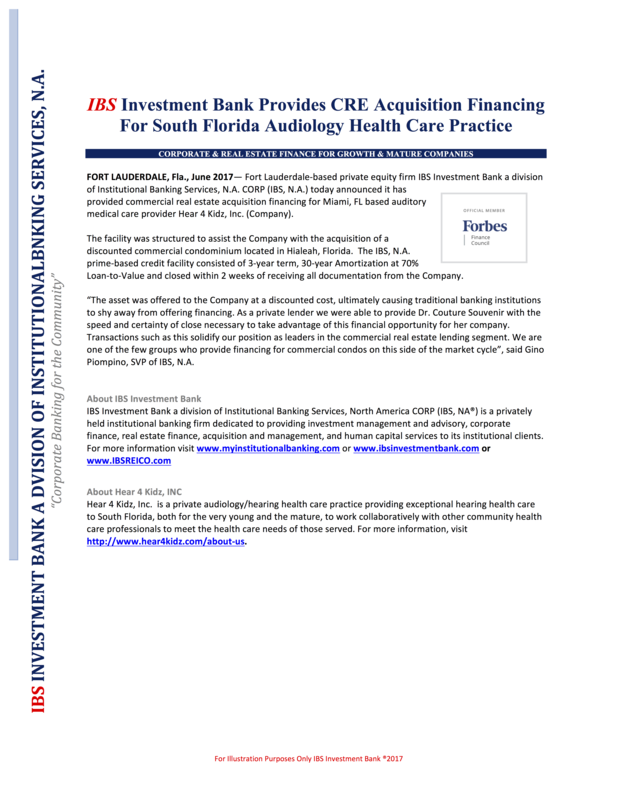 Backed by its Small Balance Investment Real Estate Fund, the IBS Realtor/Seller CRE Finance Portal is designed to stimulate the Florida investment real estate market. For illustration purposes, please contact IBS REICO corporate communications for details regarding recent transaction.